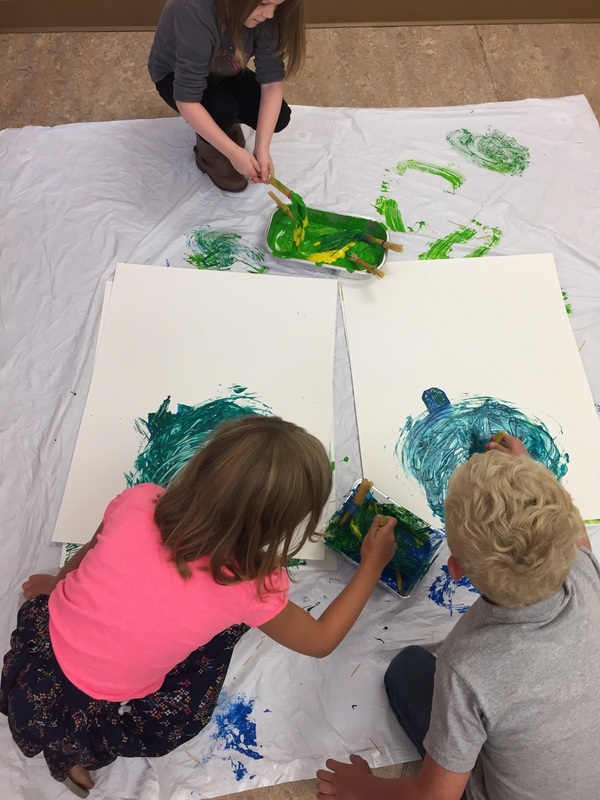 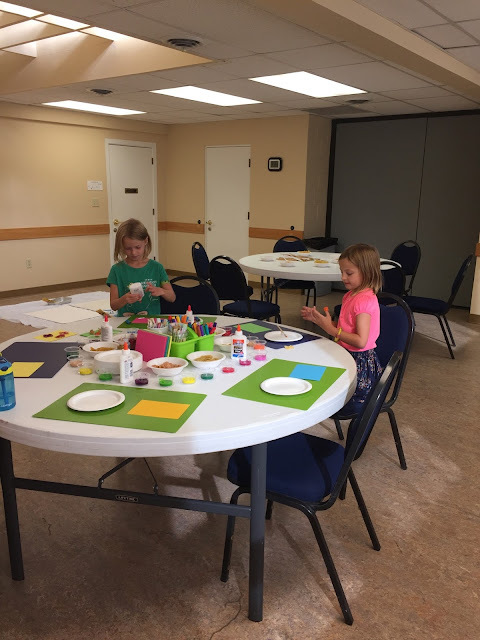 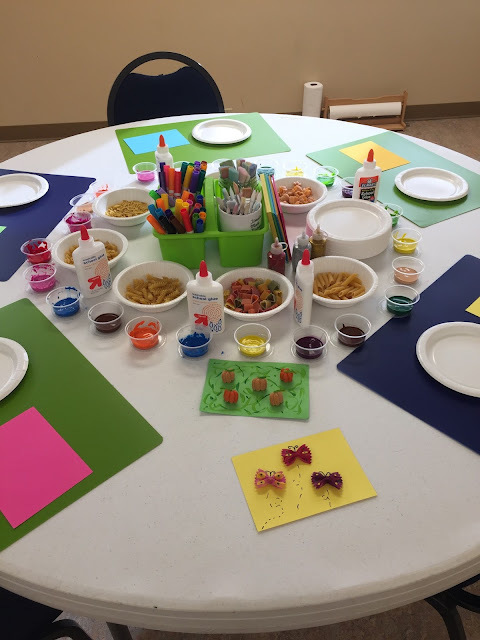 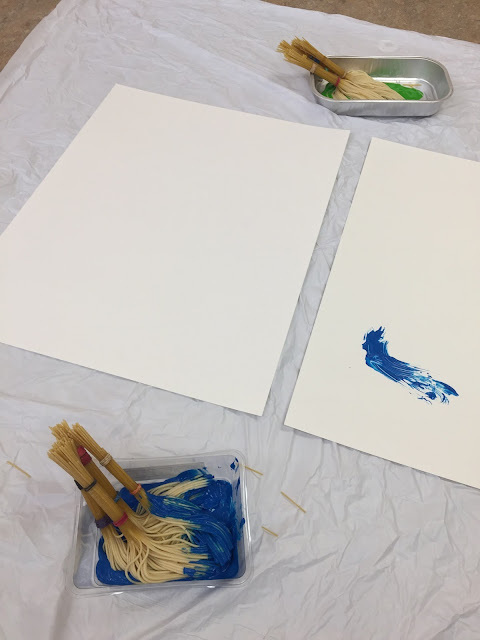 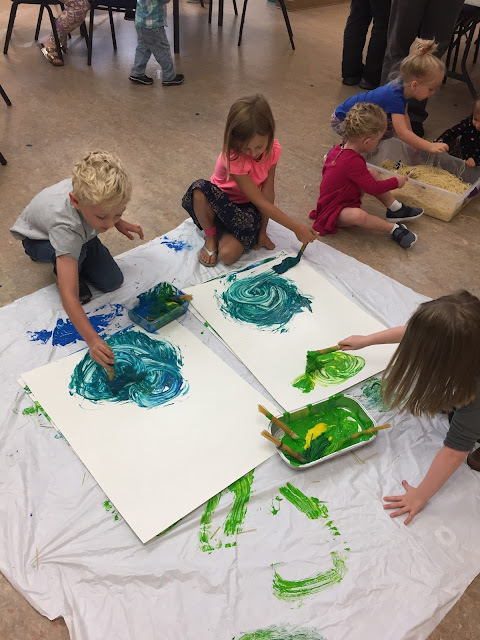 This weeks Sensory Art Class might have been our messiest yet! 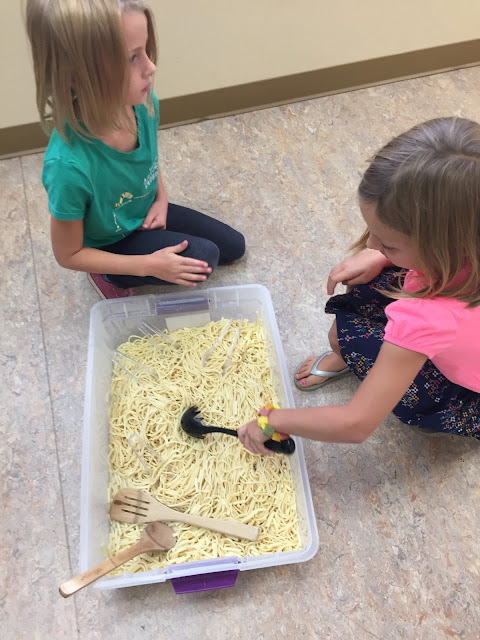 Noodles are super sticky! 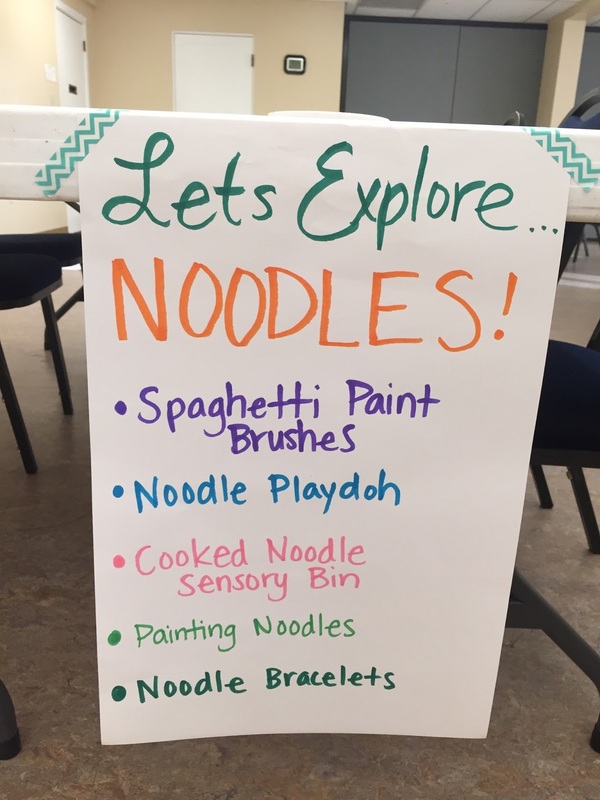 But exploring noodles was oh so fun! 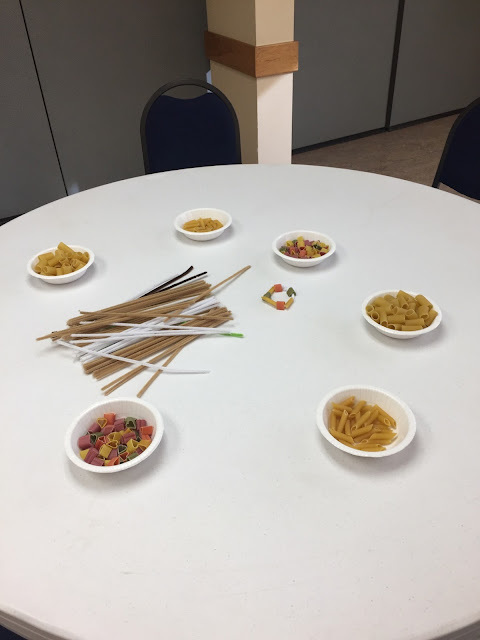 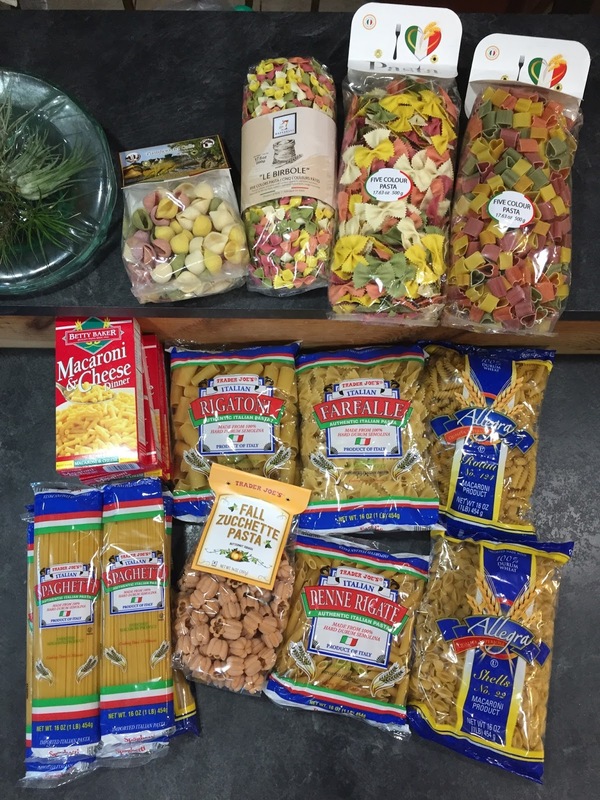 Here are a few of the types of pasta that we used! 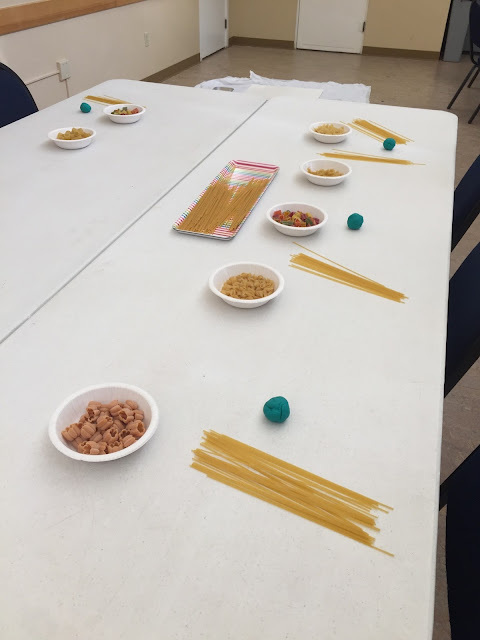 For the play doh station I just put out random noodles and balls of play doh and let the kiddos figure out what to do with it on their own!